In this edition: All new Azure, Google Cloud, and AWS certification courses, members get a shiny new dashboard, the A Cloud Guru App gets a glow-up, and new reports added to ACG for Business. More and more, companies that grew up in the cloud grew up in the Google Cloud. Google prides itself on its developer first mentality and ease of use. They’ve applied these same principles to create a cloud platform that is not only straightforward, but also has some of the strongest data services in the market. This lightweight cloud platform was built to virtually eliminate the overhead that often comes with large scale infrastructure. If you’re new to the cloud, the Google Certified Associate Cloud Engineer certification is a great place to start. ACG Instructor Mattias Andersson will walk you step by step through the foundational services while teaching you the skills required to deploy application, monitor operations, and manage Enterprise scale solutions. At Ignite 2018, Microsoft announced the launch of all new role-based certifications. Based on in-depth analysis of on-the-job tasks, Microsoft was able to determine the skills required to be able to effectively work in a specific job role. 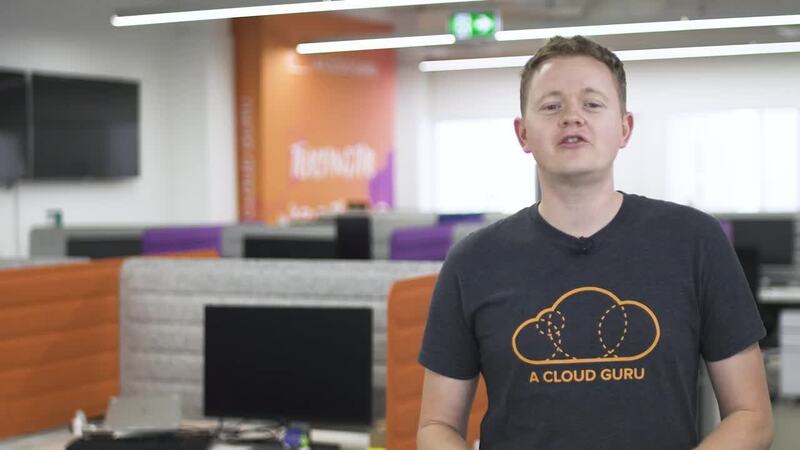 A Cloud Guru Instructor Nick Colyer immediately hopped into the recording booth to be able to quickly deliver our gurus all of the foundational level courses they needed to quickly ramp up in Azure cloud computing. This month we welcome 2 new certification courses to our Azure Architect course library. If you are an Azure Administrator that has already passed the 533: Implementing Microsoft Azure Infrastructure Solutions certification exam then this is the logical next step in your quest to Azure greatness. Go one step deeper into your full stack understanding of how to manage Azure cloud services, by diving into services that span storage, security, networking, and compute cloud capabilities. If you’re managing a rollout of Azure at your organization, you will want all of your Azure Administrators to understand the concepts taught in this foundational course. Your administrators will get pro-level guidance on how to best migrate servers to Azure, and how each of the services act together as part of the larger Azure platform. Encouraging sound architectural principles upfront saves you time (and money) rearchitecting your cloud environment in the future. Calling all our advanced architect gurus, this is the advanced course that will prepare you to be able to confidently manage the high impact decisions in each area that affect your organization’s overall solution. Be able to masterfully advise teams through translating business requirements into secure, scalable, and reliable solutions. This course will take you from have cloud knowledge of services to cloud understanding of the larger picture. In true Guru fashion, ACG Instructor Nick Triantafillou sat the new exam the week it launched, and took his learnings to develop our brand new DevOps Professional course. This course is one of the most advanced certifications that AWS offers, and is held by only an elite few. Because of the difficulty of passing this exam, it’s a good way to get the attention of employers or prove you have the skills required to continuously deliver features, fixes, and updates in a well-managed environment. Effective training programs require purposeful change management programs. From awareness and the desire to fully support the change to ending with reinforcement, each phase of your organization’s cultural shift can be supported by the ACG for Business platform. We’re building tools that provide programmatic oversight to equip companies to easily manage one of the hardest human factors - change. Designed by pioneers in cloud transformation, they took what they learned from starting one of the first Cloud Centers of Excellence and productized the tools required to manage and scale cultural change. Over the last 30 days, we built a strong offering to help track your progress towards company goals. Engagement reporting is a powerful look into the day-to-day usage of your team on the platform. Drill into the data starting at an organization level to see course progress by team and individual student. You can quickly get a glimpse of trends overtime to see which teams are the most engaged, and which teams need more support. This report is perfect for showing the ROI of training dollars in monthly business reviews. You can quickly see change in active users and lessons completed on a weekly and monthly basis. But wait, there’s more… as students upload their certifications to our platform, your Certification Report rises. Dive deeper into the report to know how many certifications you have by department or team, and which students hold the certifications. Having the data is awesome, but it’s all about what you do with it. Remember to celebrate your change agents! Swag, stickers, spot bonuses - all things we’ve seen from companies to surprise team members and to say “Job well done!” When you start to celebrate an individual for their achievement, teams take notice… and this is when you really spark change. And if all of that didn’t blow your mind… now under Settings in your admin portal you can upload your organization’s logo so that it shows up on email invitations from the platform. w00t. Welcome to the new beautiful user interface for students. Your dashboard is the homebase for your learning. You can hop right back into where you left off, or explore recommended content and actions. By using our Recommend for Your Role functionality you can quickly get the content that is right for you. All you have to do is answer I am a [insert your role] looking to [insert your goal]. Role and goal, it’s that easy! And did we mention it’s easy on the eyes? P.S. We look stunning on iPads. 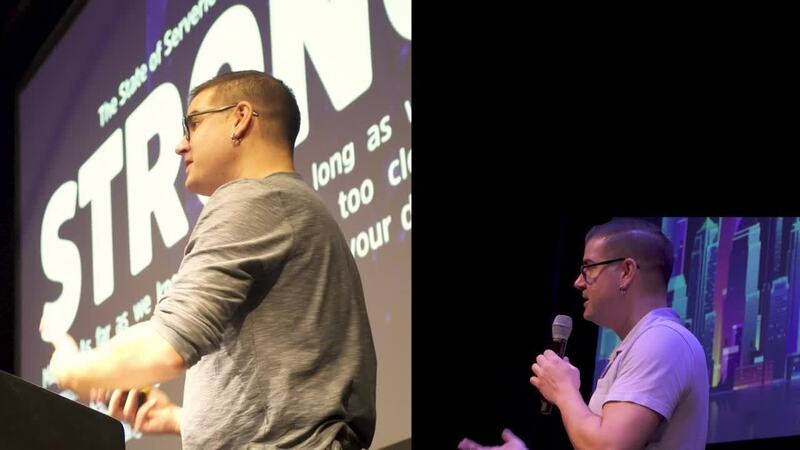 The next Serverlessconf date has been announced. Join the gurus in New York City on October 7-9 to witness the hottest conference in the cloud. April will be a HUGE month for A Cloud Guru, so we’ll pick just one new features to highlight. Drum roll please…. Get excited for the initial launch of our awesome Learning Paths. It can be difficult to know where to start, so we’ve designed the optimal step-by-step guide to walk you through our expansive course library. First, select what you want to be when you grow up. Our Learning Paths are designed to level up skills in a particular domain (not just get a certifications). There are 6 paths: Data Science, Security, Development, Architecture, DevOps, and Non-Technical. Now it’s time to learn… Set yourself on the path from a Novice through Apprentice, Practitioner, Professional, and reach the ultimate goal… become a Guru.